Home>News of Construction and Building > Are China and India about to join forces in a bid to transform Sri-Lanka? Are China and India about to join forces in a bid to transform Sri-Lanka? A project that has resulted in hostilities between the two countries in recent years could now be a development that sees collaboration between Asia’s two biggest emerging economies. Thus far, the $1.4 billion city of skyscrapers is almost wholly funded by the foreign direct investment of the superpower that is China. The Colombo financial city has long been a geopolitical cause of tension between China and India, the possibility of the upstart superpower to the east having its very own outpost just off the shores of Tamil Nadu didn’t resonate well with India. One of the primary reasons for India’s disgruntlement is that the city would then become a major element of the maritime Silk Road currently under construction by China and would then effectively surround India in Chinese backed ports, drastically enhancing China’s economic position. However, the tides are changing and after years of contentious discussions the two countries might well be reading from the same page. Yi Xianliang, China’s ambassador to Sri Lanka invited India to participate in the Colombo Financial City project last month. He claims that the tensions are unnecessary as China is not opposed to any third party investment and that India would be welcomed to assist with the project. Thus far, India have remained hesitant in accepting the offer, however, it is certainly a project that fits into the boundaries of their Sri-Lankan ambitions. India’s Commerce and Industry Minister Nirmala Sitharaman announced that over the next few years India would be investing upwards of $2 billion in Sri Lanka — and Colombo Financial City is the biggest investment project that Sri Lanka has going. 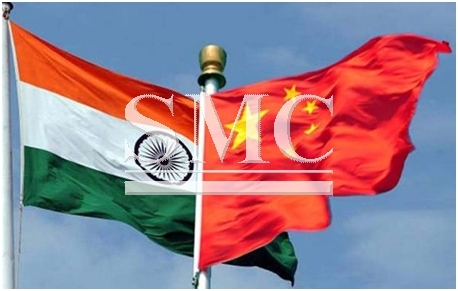 However, should they choose to accept the offer from China, you would expect India to increase their current predicted investment amount, considering China have already pledged to invest a further $8 billion, a figure that will take the total amount close to the FDI of $13 billion Sri-Lanka are expecting but with India wanting a firm foothold in the project, you would expect them to go close to the FDI figure from China. Anyway, it’s going to be interesting to see the developments of this new blockbuster financial city that is being dubbed as rivalling the likes of Singapore and Dubai. It will also be fascinating to see the developments of the relationship between two of Asia’s largest economies. Only one thing right now is for certain and that is, Sri-Lanka are absolute winners, regardless of the outcome between India and China.